The island is plentiful in natural, untouched landscape, with breathtaking coves and crystal blue seas, hiking opportunities through the inner island forrest, and historic, winding roads through the Chora, with contrasting neoclassical and ruined buildings. In Greek mythology, Symi is reputed to be the birthplace of the Charities, and is named after the nymph Syme. In antiquity, the island was known as Aigli and Metapontis. In Homer's Iliad, the island is mentioned as the domain of King Nireus, who fought in the Trojan War with the Greeks. Symi can be reached by plane to the nearby island of Rhodes, then by boat from Rhodes to Symi. Alternatively, directly by boat from Piraeus Port in Athens. 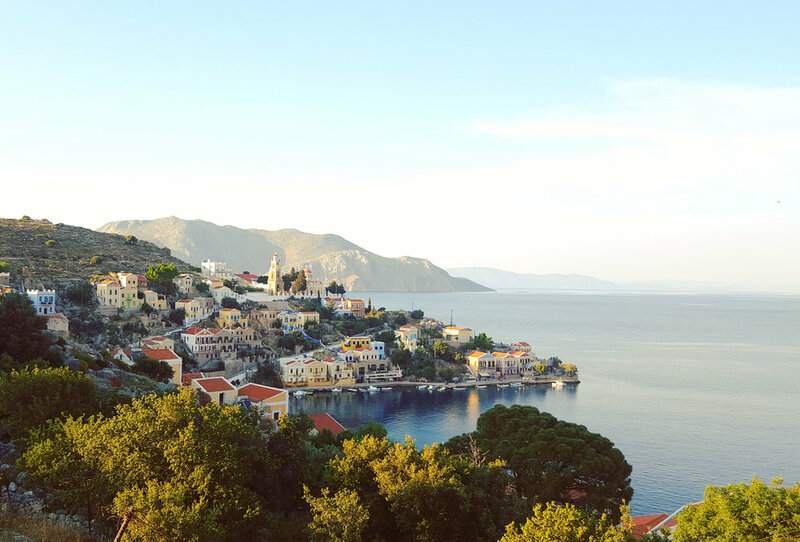 If you'd like to reach Symi directly without an overnight stay on Rhodes, it is advisable to check boat schedules from Rhodes to Symi if travelling by air, and book your flight accordingly.